Savaliya seth painting of shri krishna is a beautiful carving painting with gold 24ct decoration work by national award winning artists. 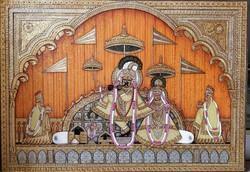 Govind dev ji temple of Jaipur painting is the exclusive painting for krishna lovers , It has 3d embossed work and 24ct real gold foil art with decoration of diamonds. 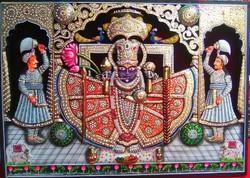 Savaliya Seth painting is the finest art work of our gallery , 3d looks gives the temple like effect We use real 24 ct gold for decoration . 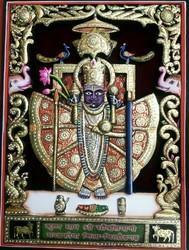 Looking for Krishna Painting ?